Online platform showcasing design, fashion, creativity & culture. Read differently. 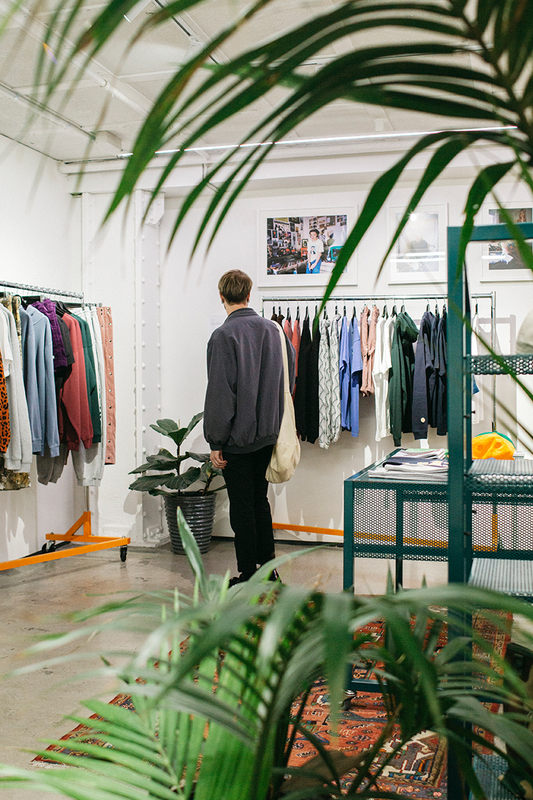 Colour and texture are the two words that come to mind when describing Auckland’s Checks Downtown, and its owner and creator, Jordan Gibson. 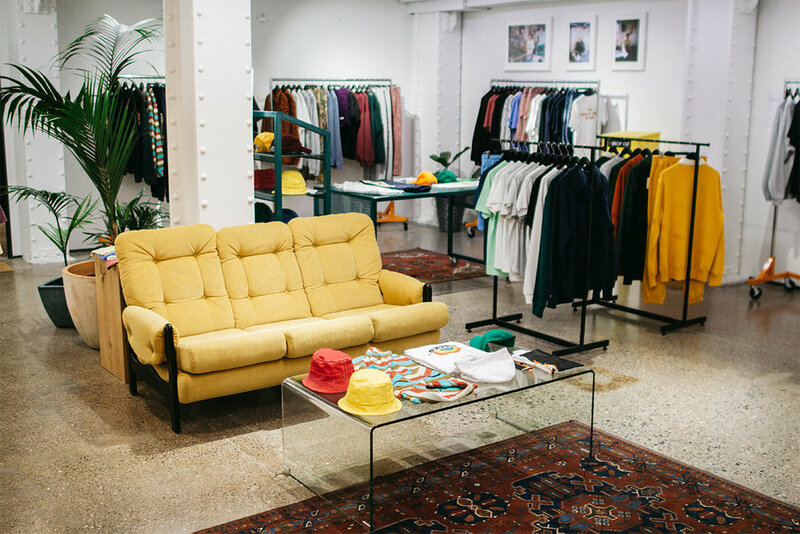 In just over a year, Checks has exploded onto the forefront of New Zealand’s apparel industry and is punching well above its weight alongside established giants of the industry. Checks is quickly expanding their own in house brand that utilises colour and interesting materials to craft new designs, all of which are made in New Zealand factories and based within their brick and mortar flagship on High Street. We sat down with Jordan to pick his brain about all things fashion and Checks. Mitchell: Let’s start off with a pretty easy and personal question; how much thought do you put into your fire daily fits? Surely colour co-ordination of your calibre doesn’t come easy? Jordan: Hahaha that’s very kind. To be honest not that much, I almost always pick what I’m going to wear in the morning. Not to sound big headed, but I think there’s an innate sense of colour so I don’t need to put much thought into what goes with what, obviously this has been honed over the years through trial and error and refinement through the different professional environments I’ve worked in. I do enjoy the shock value I get out of a jarring combination, even if I don’t consider the way I dress particularly radical. I just like to have fun with it and dress for me. Mitchell: Were ethics and homegrown production always a goal of yours? From a business perspective, a lot of clothing brand outsource production overseas. Do you think this has affected accessibility? Jordan: Yes. This was one of the primary motivations for me when starting Checks and considering what the brand would be – ethical and local production would be central to the brand. I don’t think there’s much value in another brand that’s made cheaply for the benefit of a Western audience, it doesn’t interest me to do things in this way. We aim to reach the people that this is of value to, it is intended to be for a more niche audience because to appeal to a broader crowd we would have to water down our message and ethics. Perhaps if we had made our clothes in a cheaper way it could be consumed by a bigger audience but we would also have to produce in larger quantities with higher risk, domestic production allows us to control our order sizes. Our garments are fairly distinctive and I think the person this appeals to is probably a bit more willing to justify investing more in their clothing. You can’t really buy our designs from other brands. So far we have seen this resonate internationally as well as at home, so I’ve been really pleased that these matters are of importance to our customer base as well. Mitchell: Often as an industry outsider, it’s very difficult to find information on production and how exactly to start a brand. How/where did you discover this information? Jordan: I had a start from previous jobs, I worked my way from the bottom of the totem pole and put my hand up at the right times and asked the right questions. I was lucky to get opportunities to design for other local brands that utilised local manufacturing and had a long-standing network to tap in to. But this isn’t a must, you can start from scratch and just keep digging, use the Internet or any resource you can find. Essentially you need one or two good people within the industry to get behind you and then extend their network to you. Asking questions and opening yourself up to people is important, not being afraid to sound silly. But these businesses tend to be fairly old-school so often aren’t very well advertised and directories of factories have lots of gaps so it takes persistence. Mitchell: What pieces are you most excited about this season, and what are you looking forward to delving into in the future? Jordan: I’m particularly excited for the growth of the collection into more tailored styles, my take on tailoring. To be honest when I started Checks I wanted nothing to do with suits (I had previously worked for a tailor and worn a suit every day) and wanted to be the opposite of that. Skip forward a couple of years and it feels fresh again, I have worked out how I can put my take on that. So there are suits and coats which I am looking forward to most, it will feel like an extension of Checks and fits in with our aesthetic and offering. I want to continue to expand the product range into new areas and product lines, extend what you would expect from Checks. Naturally, we are limited by scale and capabilities so the most exciting thing to me is to reach a stage where I can present my full point of view without limitations. But that will happen over quite a long time. I think that this space of unisex style has so many opportunities, people are more aware of bags and jewellery and different footwear options and this is all exciting to add to our offering. Sign up with your email address to receive articles just like this directly to your inbox. Thank you for subscribing and for joining our community! Mitchell: Although it’s a rather cliche question, where do you see yourself and Checks in five years time? 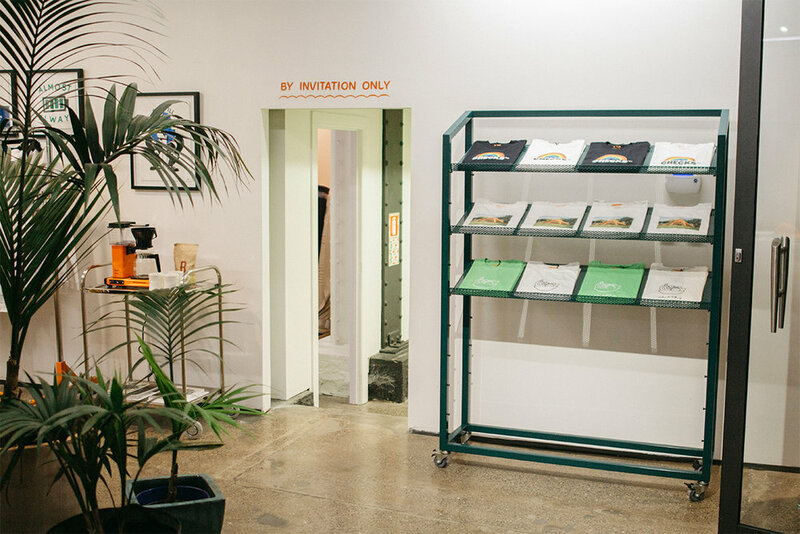 What about where you see fashion and streetwear in New Zealand going in the future? Jordan: For Checks I expect our presence both locally and internationally to grow quite quickly, I’d hope by that point our flagship store is seen as an important destination in the local retail and fashion landscape. Maybe it already is, but in the way that Union is in Los Angeles and Colette was in Paris and so on. As I write this travelling through Japan and we have two stockists in Tokyo and I am excited by the opportunities here. I think we will have stockists in multiple countries. A lot can happen in five years! Maybe an international store! Personally, I would like to feel totally free to express myself creatively and be satisfied with my work and personal life. If I am still motivated and fulfilled then I think that is a good marker for success. I started Checks because I wanted to challenge the New Zealand market, lead the conversation around what New Zealand style looks like. I think the beauty of our location is there is not a defined style, we don’t have a lot of history to dictate our aesthetic. So we can create something new. Hopefully, in five years, we are somewhat closer to that, where people feel free-er to express themselves. More variety in the local fashion landscape and Checks has been an important part of moving the needle. We pick Jordan’s brain on all things fashion, his label Checks Downtown and the progression of streetwear on an ethical scale. In our latest series of Necessities we catch up with Katene Durie-Doherty, co-founder of Auckland based digital agency, Edit Lab. Rufus delves into the retail world and the design within it, how he personally approaches projects and most importantly what advice he’d give for aspiring designers of all fields. The Canadian jewellery brand is carried in some of the top stores globally. Founder, Austin McMahon shares the journey of MAPLE with us and some valuable tips on business that meets design. Titled “Centre de Commande” and open until April 27th in the heart of Montreal. Clear the clutter with this new design by SMPDO. Some brands and items retain more value than others, so how can you as a consumer take advantage of that? From Marvin Gaye to Billie Eilish’s latest project take a look at our review of the latest releases in music. A new brand with a vision focussing on sustainable limited product met with timeless design. Started in 2017, Steele + Edith is a Los Angeles based menswear label that utilises Japanese and Italian fabrics with hand sewing in China. All you need to know about what film camera and stock to start with as well as where to develop your photos. Clayton takes us through the origins of 017 Shop, how he curates the store and executes as well as overcoming adversity to follow his dream.